AMAZING NEW PRICE. REDUCED ALMOST $500,000! 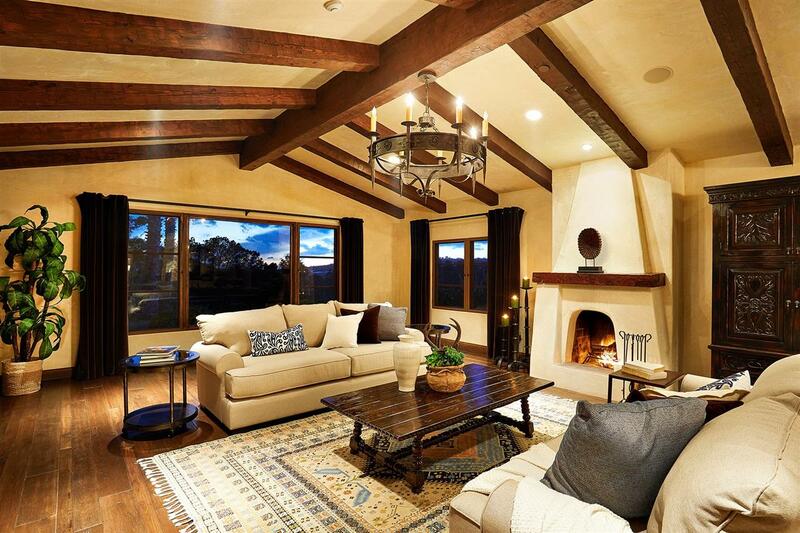 This private & secluded RETREAT rests in the desirable WEST SIDE OF THE COVENANT. 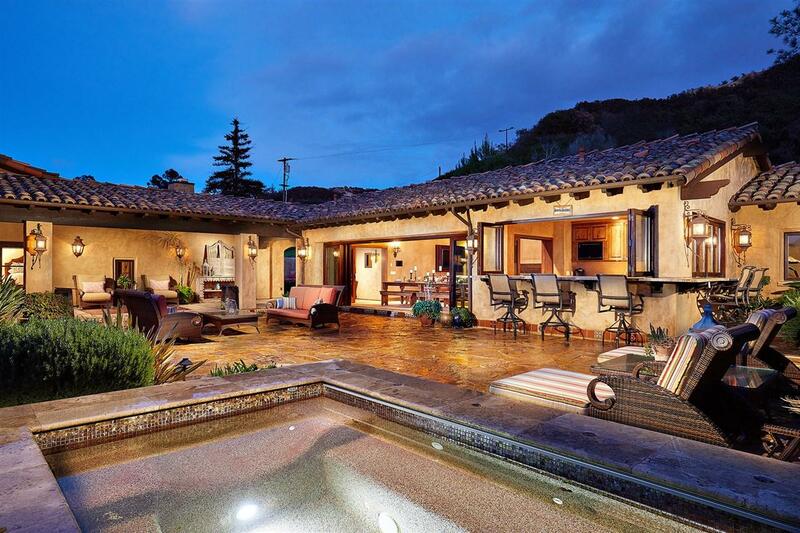 The main house, PRIMARILY SINGLE LEVEL, is 6,030sf California hacienda style residence plus a separate & fully equipped SINGLE LEVEL 2BR/2BA, 1,195sf private guesthouse. All on 4.68 acres, private gated driveway, natural gas and sewer connected. BEST VALUE IN RANCHO SANTA FE COVENANT. 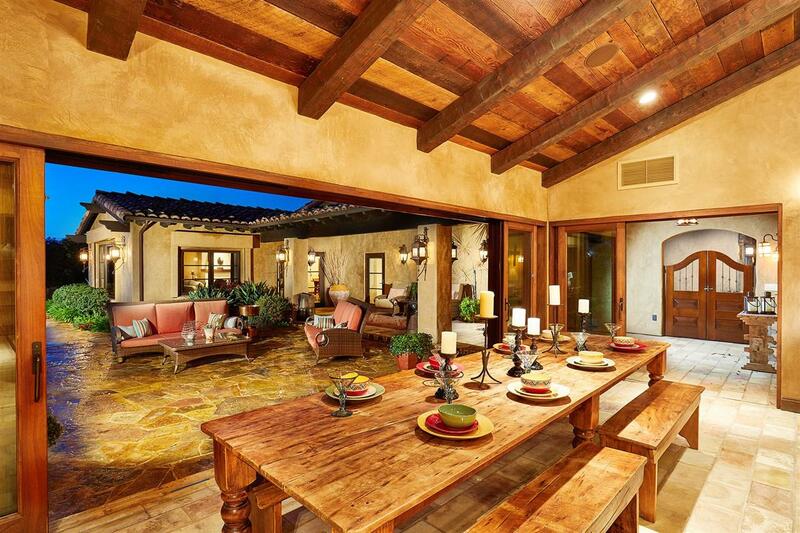 The main home reveals authentic Spanish style finishes of pecan plank floors, beamed ceilings, wrought iron lighting & hardware. 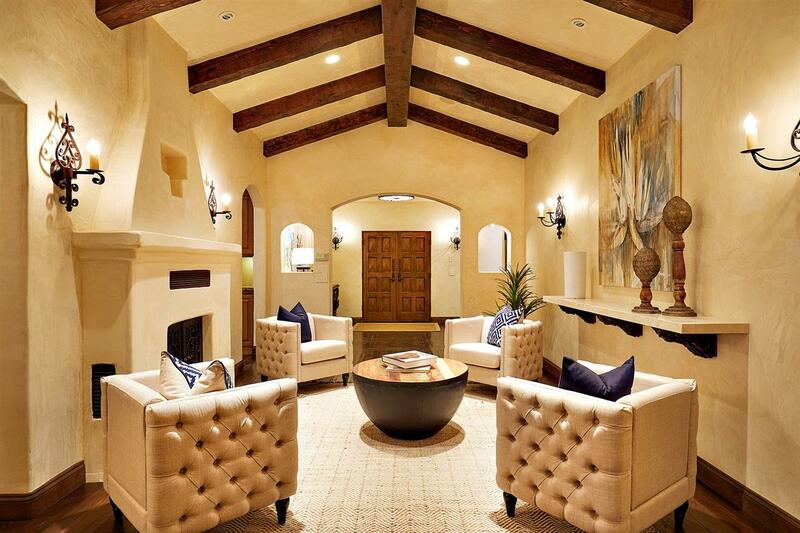 Through the foyer, the elegant living room welcomes you in with warm light & west facing private views. The dining room leads to a gourmet kitchen with a stone countertop, breakfast bar, farmhouse sink, Viking appliances, & a corner Kava fireplace. The large, private master suite has a corner fireplace, classic beamed ceiling & a large walk-in closet with extensive built-ins. The master bath is complete with his & her sinks & toilets, custom tile glass shower & floors & vanishing edge soaking tub. The side courtyard patio has a fireplace & private office. In the main home, there are 3 additional bedrooms, a laundry room, 2 additional full baths & a 3-car garage. The stairway leads up one level to reveal a six-seat theatre & additional storage. The basement has a custom collectorsÃ¢â‚¬â„¢ wine cellar. Extensive exterior courtyards & the outdoor lanai lead to the oversized great room with large fireplace, & a summer kitchen with grill & an indoor-outdoor dining bar, perfect for year round entertaining. A designated gym with full bath is also an optional 5th bedroom. Outside find a large spa, conversation fire pit & ample room for a pool. Designed by Taraz Architecture & built by Starrett Construction.